Kelley Lynn breaks into the fantasy world with this stunning debut novel. Akara’s and Rydan’s lives couldn’t be more different. One lives a life as luxury, while the other is kept locked away in a dark place until she can be used by her people. One finds joy and good in the world; the other sees nothing but selfishness and darkness. They start out as enemies. Two souls used to further the goals of their individual kingdoms. Polar opposites united by the magic they both wield. Lynn brings these two unlikely allies together in order to save a dying land. But can they overcome their difference before it is too late? Lynn draws readers in from the first page with her vivid descriptions and the captivating emotions portrayed by her characters. Akara’s squalor and filth is contrasted brilliantly with the luxurious life Rydan enjoys. She soon shows, though, how much these two people have in common. Her story shows human nature at its finest and worst. Her vivid settings bring her world, Casden, alive for readers. I loved how her world is the very thing trying to destroy her protagonists. This fresh twist on the fantasy tropes is brilliantly executed. I look forward to seeing what happens next in this epic new series. 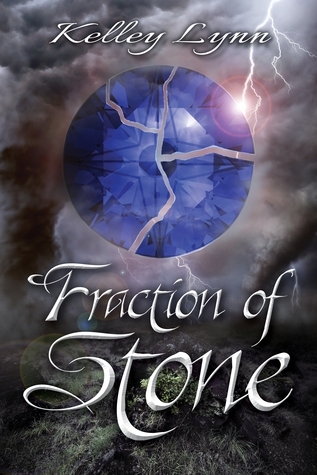 You can find FRACTION OF STONE through Amazon and Barnes and Noble.